Tom Stevens, president and CEO of Pro-Life Union of Greater Philadelphia and of Guiding Star Ministries, based in Oreland, Montgomery County. Tom Stevens, who became president and CEO of the Pro-Life Union of Greater Philadelphia and of the related Guiding Star Ministries in December, has pro-life credentials tracing way back to his days as a Villanova University student. As a matter of fact that’s where he met his wife Ann, who was also a Villanova student. He was an economics major and she was a religious studies major. He asked her out for their first date after both attended a prayer rally outside of the Planned Parenthood abortion facility near 11th and Locust Streets in Philadelphia. They married in 1995 and have five children ranging in age from 20 to 10 – Tommy, John Paul, Megan, Kellan and Andrew. It would be eight if you count the three babies lost to miscarriage. Because they truly believe life begins at conception, they mourn their lost babies. Concern for the unborn apparently is being passed on. “John Paul is vice president of the pro-life club at Roman Catholic High School,” Stevens said. Also, his children have joined their parents in prayer before abortion clinics and for the annual March for Life in Washington, this year set for Jan. 19. Stevens is originally from Basking Ridge, New Jersey where he was active in Antioch Retreat programs at St. James Parish. For the past 25 years the family have been members of St. Colman Parish in Ardmore where he and Ann have taught PREP classes, led the Alpha Catholic program and contributed to the music ministry. Stevens also leads the House of God’s Light Christian Community, which is nondenominational but mostly Catholic. “Its mission is to make whole-hearted disciples of Jesus Christ by worshipping, loving, growing and serving together,” he said. 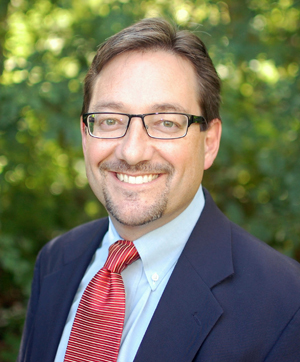 Professionally, Stevens has had a successful career in sales, marketing and non-profit management. Ann, who formerly taught in a Catholic school, most recently has been homeschooling their younger children. Through it all, being actively pro-life has been on the front burner of life. Sometimes it is subtle, just attending Mass as a family, but life is always part of the equation. Coming to the Pro-Life Union of Greater Philadelphia gives Stevens a chance to put all of his talents into the cause. “One of the most important things the Pro-Life Union does these days is to participate in the 40 Days for Life program,” he said. “It is getting many people out in front of the clinics, raising people’s awareness and saving babies. Over the past year many babies have been saved. At some clinics we have people praying every day. Guiding Star, Stevens explained, is independent of the Pro-Life Union but they have a mutual Board of Directors and he is president and CEO of both. Guiding Star Ministries is a facility for young mothers who are pregnant or have already given birth. It not only takes care of the mother, but also the newborn and if the mother has a child or children under 5, they are welcomed also. At this point Guiding Star can accommodate up to seven mothers at a time and 12-15 children. Stevens considers this new venture in his life as a time of great opportunity and what he sees as his strong point: the ability to help the Pro-Life Union and Guiding Star grow. The pro-life movement in the Philadelphia area has often been fractured, with different groups doing their own thing, which is not necessarily the best strategy. For Stevens, sanctity of life is so important because it is about life and death. He finds inspiration in one of his favorite saints, St. Maximilian Kolbe, the priest who accepted torture and execution in a Nazi concentration camp to save the life of a fellow prisoner who had a wife and children. 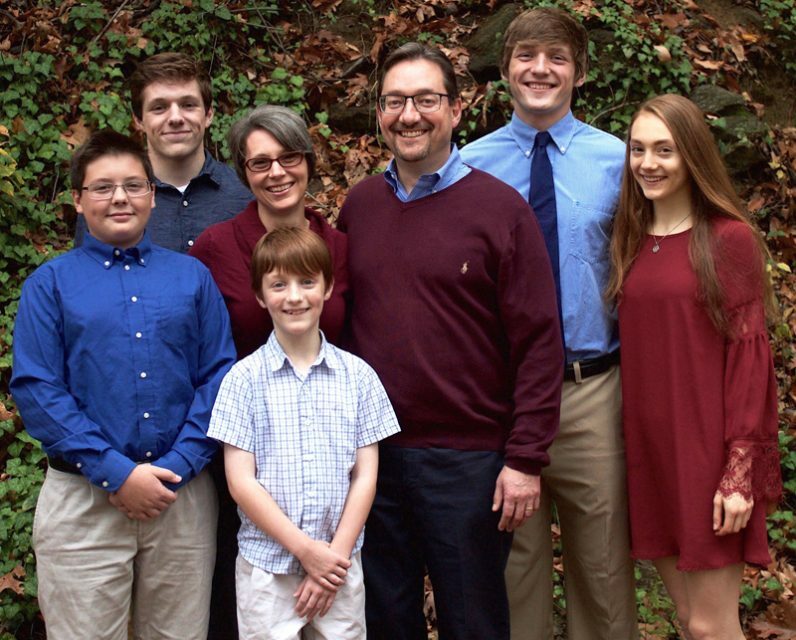 The Stevens family, from left: Kellen, 13; John Paul, 18; wife Ann; Andrew, 10; husband Tom; Tommy, 20; and Megan, 18. God bless you and your family, the PLU, Guiding Star, and all unborn babies and their parents. St. Maximilian Kolbe pray for us. Exciting days ahead! May God guide, bless, and protect you Tom, and use you mightily in the cause of life and the cause of Christ.